San Pedro Cactus are native to the high Andes. They are a very hardy and easy to grow columnar cactus, often growing a foot per year and reaching heights of over 15 feet (40 feet has been recorded). It is ribbed , with usually 6 to 8 ribs. It is a branching cactus and often has many side arms. Trichocereus pachanoi (San Pedro Cactus) is the most common and well known of the Trichocereus. San Pedro Cactus was suposedly named after Saint Peter because it was, like Peter, thought to hold the keys to heaven. 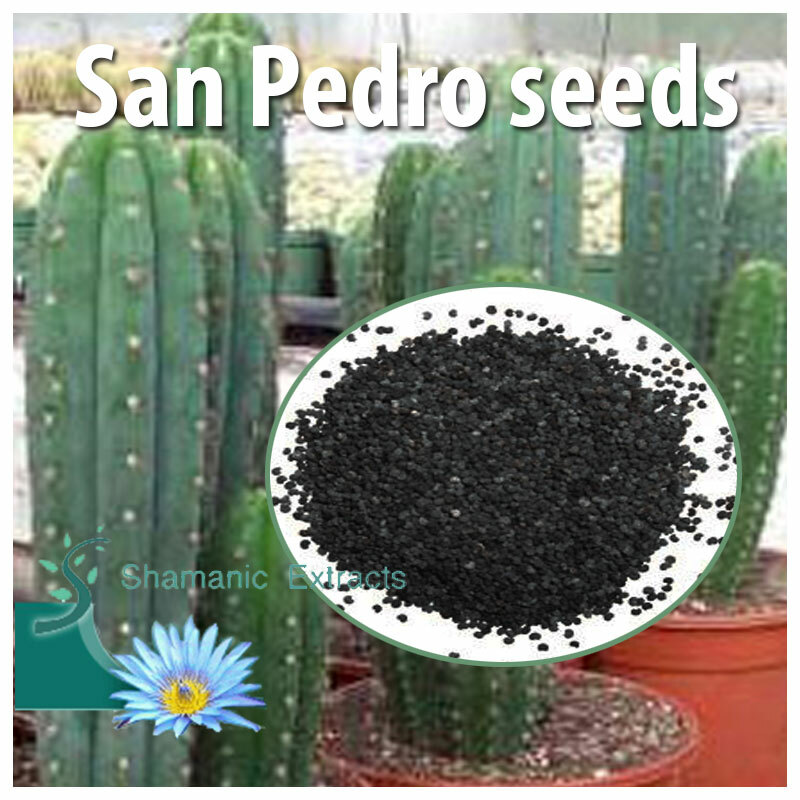 San Pedro Cactus has been known and used ceremonily for over 3000 years and there is evidence to suggest cultivation in Peru from 2200 B. C.
Share your experience about San Pedro seeds with other customers. Submit your tips or thought on this product, be detailed and specific.